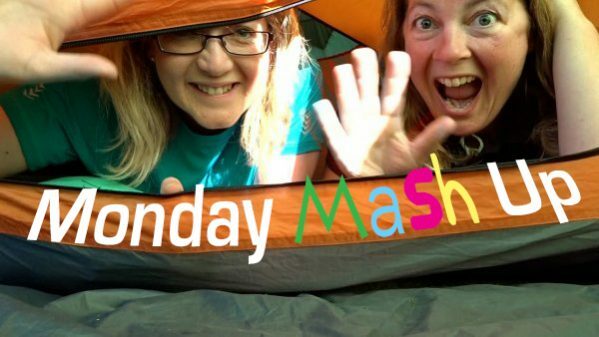 No mash here (although it is a favourite Blonde food). 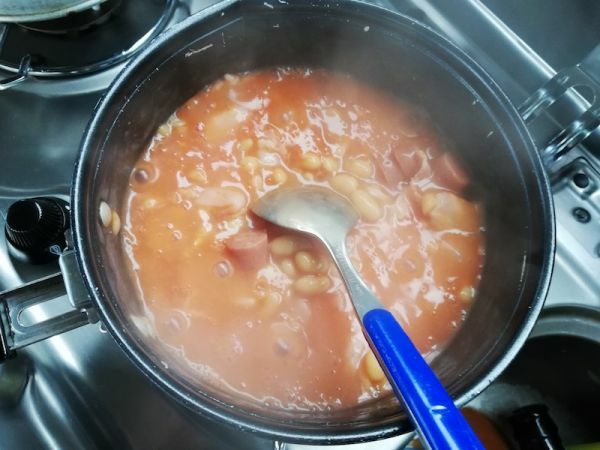 Just B2’s new inventive way of eating baked beans without needing to wash up the bowl. 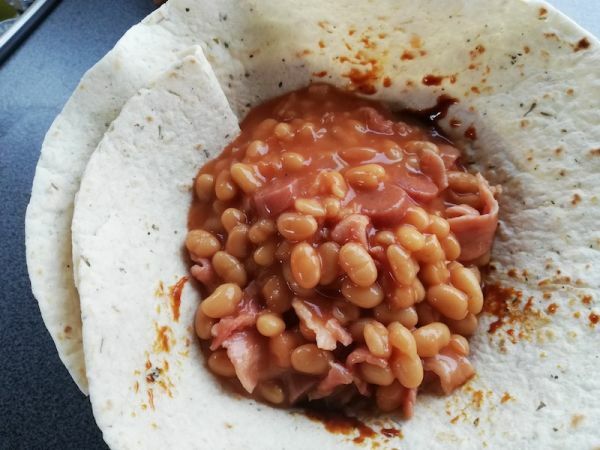 Of course, you could always eat the bacon and beans straight out of the pan but that would represent an appalling lapse in manners and leave you with a rather dry and boring wrap! Add a few sliced mushrooms and some tomatoes! And eat out of the pan – while it’s still piping hot.